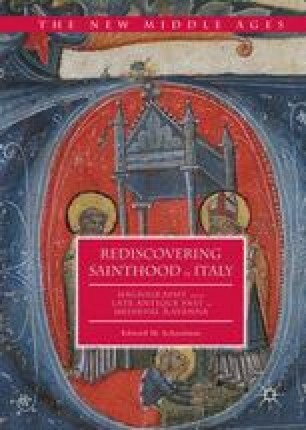 The final chapter examines the processes needed to create and popularize local saints using Saint Barbatianus of Ravenna as a model. In the case of Ravenna, most of the local saints whose lives and relics were celebrated in writing in the tenth century did not find long-term success for their cults. In fact, most saints had only brief moments of importance after which they descended into the background of the hagiographic landscape as new saints emerged. The relative popularity of Barbatianus from the promotion of his cult and the writing of the Vita Barbatiani in the tenth century through the early modern period marks his legacy as one of a survivor.